She’s hiding something big. He’s hiding someone small. 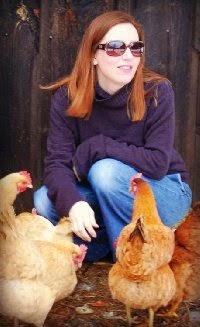 Scarlet Crowley’s life was torn apart the day father was arrested for unspeakable crimes. Now the shock has worn off, but not the horror. It’s a safe bet that Scarlet is the only first year at Harkness College who had to sneak past TV news trucks parked on her front lawn just to leave town. But college will be Scarlet’s fresh start. Clutching a shiny new student ID — with a newly minted name on it — she leaves it all behind. Even if it means lying to the boy she’s falling for. Bridger McCaulley is a varsity hockey star known for being a player both on and off the ice. But a sobering family crisis takes that all away. Protecting his sister means a precarious living arrangement and constant deception. The only bright spot in his week is the few stolen hours he spends with Scarlet. The two form a tentative relationship based on the understanding that some things must always be held back. But when grim developments threaten them both, going it alone just won’t work anymore. And if they can’t learn to trust one another now, the families who let them down will take everything they’ve struggled to keep. “Well… could you stop calling me Stalker?” I knew my objection to his nickname was a little silly. But the past year had made me sensitive to anything even remotely creepy. “Okay. Now play me a song,” Bridger said. My hands felt a little sweaty, and I had to wipe them on my jeans. I shouldn’t have been nervous, because I spent a lot of restless hours last year playing the living crap out of my guitar. When nobody at school will speak to you, and there’s a full drama playing inside your house, there is really no better way to spend time than practicing music. But still, I was anxious to impress. Putting the guitar strap over my head, I checked my tuning. Then I launched in to Lynyrd Skynyrd’s Sweet Home Alabama. With its distinctive opening riff, I knew it would sound impressive. And I’d played it a hundred times before. I kept my eyes on the fret board, not because I needed to look, but because I felt shy. After the first few bars I began to relax, the music pulling me in. My cheeks did their thing, becoming hot. I busied myself with removing the guitar strap from around my neck. But I fumbled it, twisting my hair in the strap. “Ouch,” I swore. Bridger reached up to untangle me, and I felt my status tumble quickly from “possibly cool” right down to “dork.” But just as I was beating myself up about it, I noticed something peculiar. After Bridger pushed my tangled hair off my shoulder, his hand stayed there, warming my skin. Then, his fingers cupped my cheek. My gaze flew to his, and I found him studying me. Sarina Bowen makes her home in the Green Mountains of Vermont, where she lives with her family, eight chickens and a large pile of skis and hockey equipment. She is a graduate of Yale University. 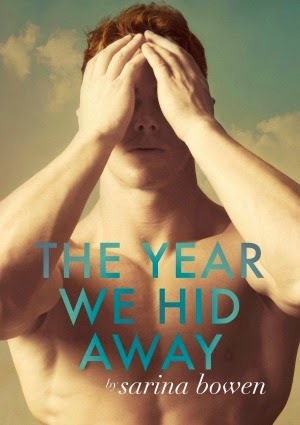 The Year We Hid Away by Sarina Bowen was released March 20, 2014, and is available from Amazon. No I never lived on campus. I was lucky enough to live off campus.